Monday 17 September: NLI Reading Room and Manuscript Room closed. Venue: National Library of Ireland, Kildare St, Dublin 2. On-going closures to facilitate extensive redevelopment of premises. All other services/exhibitons/cafe, incl. Genealogy Advisory Service, operate as normal. Details. Monday 17 September: All at Sea: PRONI Maritime Records, with Stephen Scarth. Host: North of Ireland Family History Society, Larne Branch. Venue: Larne Bowling & Lawn Tennis Club, 112-120 Glenarm Road, Larne, BT40 1DZ. 7:30pm. No need to book. All welcome, but donation appreciated. Tuesday 18 September: The Mixed Vocations of (Fr.) Gerald O’Donovan (1871–1942), with Dr Chrissie Van Mierlo. Host: University of Nottingham Irish Studies talks series. Venue: Five Leaves Bookshop (down the alley opposite the Tourist Info Centre), 14a Long Row, Nottingham, UK. 7pm – 8:30pm. Admission: £3 including refreshments. Email to confirm attendance: events@fiveleaves.co.uk. Wednesday 19 September: Newspapers as a source for genealogical research, with Georgina Scally MAGI. Georgina will look at the range of information that can be gleaned from newspapers as well as looking at where to find newspapers on both paid and free databases and in hard-copy format. Host: Accredited Genealogists Ireland and the National Archives of Ireland. Venue: NAI, Bishop Streeet, Dublin 8. 6pm. Free. No need to book. Wednesday 19 September: Lost Heroes, with Richard Edgar. Host: North of Ireland Family History Society, North Armagh Branch. Venue: Bleary Community Centre, 1 Deans Road, Bleary, Craigavon, Co Armagh, BT66 7AS. 7:30pm. All welcome. Talk postponed due to Storm Ali. Wednesday 19 September: The sinking of the Leinster, with Cormac Lowth. Host: Dun Laoghaire Borough Historical Society. Venue: Royal Marine Hotel, Dun Laoghaire, Co Dublin. 8pm. All welcome. Entrance Fee: €3. Friday 21 September: Constructing a Legend: Irish ‘Wild Geese’ in Louis XIV’s Army 1689-1714, with Pádraig Lenihan. Host: The New York Military Affairs Symposium. Venue: South Lounge, 2nd Floor, The Soldiers Sailors Club, 283 Lexington Avenue, New York City, USA (between 36th and 37th Streets). 7pm to 8:45pm. Free. All welcome. 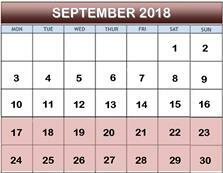 Friday 21 September: National Archives of Ireland - delayed opening. Reading Room will be open to the public from 2pm to 5pm only. NAI, Bishop Street, Dublin 8. 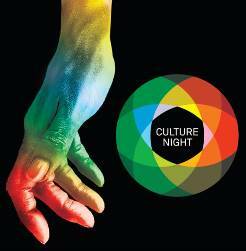 Friday 21 September: Culture Night. This major annual all-island event includes arts, music, history, heritage and science for all ages and encourages more people to visit cultural venues and to experience culture in their local areas. Free, but booking required for some events. Programme. Friday 21 September to Sunday 23 September: Remembering the Armada, an annual festival commemorating the armada and its shipwrecks of 1588. Friday evening sees the official opening of the Spanish Armada Interpretive and Visitor Centre at the Courthouse, Grange, Co Sligo. Saturday sees four lectures presented. Also: guided walks, music and dance performances. See programme for more details. Saturday 22 September: Ireland civil registration - Post Famine research using civil records, an Intermediate level genealogy workshop with Miles Davenport. Host and venue: McClelland Library's Norton Room, 1106 N. Central Avenue, Phoenix AZ 85004, USA. 10:30am–1pm. Fees: Non-Members $20 / Members $15. Need to book. Saturday 22 September: Researching your Irish ancestors, with Jill Williams FIGRS at the Edinburgh Irish Heritage and Culture Day. Host: The Consulate General of Ireland, Scotland GAA and Conradh na Gaeilge Glasgow. Venue: The Grange Club, Portgower Place, Edinburgh, Scotland, EH4 1HQ. Noon to 6pm. Details. Monday 24 September: NLI Reading Room and Manuscript Room closed. Venue: National Library of Ireland, Kildare Street, Dublin 2. On-going Monday closures are to facilitate extensive redevelopment of the premises. All other services/exhibitons/cafe, including Genealogy Advisory Service, operate as normal. Details. Monday 24 September: Using the National Library, a Research Workshop, suitable for anyone looking to embark on a research project or to enhance research skils in navigating the catalogue, accessing the various collections and interpreting the sources. 3pm. Kildare Street, Dublin 2. Places are limited so booking required. To reserve a place email learning@nli.ie or phone 01 6030 259/346. Tuesday 25 September: The 1718 Migration, with Andrew Kane. Host: North of Ireland Family History Society, Causeway Coast & Glens branch. Venue: Guide Hall, Terrace Row, Coleraine, Co Derry. 8pm. All welcome. Free. Tuesday 25 September: Key sources for the family historian in Northern Ireland, with Anne Johnston. Host: North of Ireland Family History Society, Belfast branch. Venue: C S Lewis Room, Holywood Arches Library, 4-12 Holywood Road, Belfast, BT4 1NT. 7:30pm. All welcome. Free. Tuesday 25 September: The West Clare photographs in the National Library's Lawrence Collection, with Elizabeth Kirwan. Host:Kilrush and District Historical Society. Venue: Teach Ceoil, Grace Street, Kilrush, Co Clare. 8pm. All welcome. Free to members; €5 for non-members. Wednesday 26 September: Irish family history assistance in the Library. Host: Genealogical Society of Victoria. Venue: GSV Library, Level 6, 85 Queen Street, Melbourne, Australia. Free for members. $20 non-members. 10am to 4pm. Consultations: One-hour appointments with a research consultant also available. See details. Wednesday 26 September: Presbyterianism in Dublin and the south of Ireland: an unfamiliar history, with Linde Lunney. Host: Dublin Festival of History. Venue: Royal Irish Academy, Dawson Street, Dublin 2. 1pm. Free. All welcome. Thursday 27 September: Michael Collins and Guerrilla War in the War of Independence, with Joseph E A Connell Jr. Host: Bray Cualann Historical Society. Venue: Royal Hotel, Bray, Co Wicklow. 8pm. All welcome. Free for members; €5 for non-members. Friday 28 September: The Influenza Epidemic in North Wexford, with Dr Ida Milne. Host: North Wexford Historical Society. Venue: Methodist Church Hall, Market Square, Gorey, Co Wexford. 7:30pm. Members free. Non-members €5. All welcome. Friday 28 September: Conflict and Consensus: soldiers and citizens in Waterford City, 1820-1920, with Dr. Aoife Bhreatnach. Host: Waterford Archaeological & Historical Society. Venue: St. Patricks Gateway Centre, Patrick Street, Waterford City. 8pm. All welcome. Members free; non-members €5. Sunday 30 September Free genealogy help session. Host and venue: Library of the Irish American Heritage Center, 4626 N Knox Avenue, Chicago, IL 60630, USA. From 1pm to 4pm. Free. All welcome.